As a past Beck Center student, Legeza chose the arts center for his Eagle Scout project as his way to “give back to the Beck” after nine years of involvement there. He started at Beck in theater classes at the early age of five and has performed in several youth productions including The Wizard of Oz and Honk! Jr., as well as with the Chamber Choir. A freshman at St. Ignatius High School, Legeza has been involved in scouting since he joined Tiger Cubs in first grade. He is a member of Boy Scout Troop #575, which meets at St. Barnabas Church in Northfield. Over the past eight years Legeza has earned many merit badges and acquired the skills and experience necessary to attain the “Life” rank, which qualifies him as a candidate for Eagle Scout. Legeza began his initial work on this project back in March of this year when he met with Beck’s Director of Business Operations Larry Goodpaster to discuss potential community service opportunities. "Scott had many great ideas. 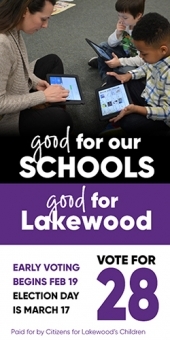 We wanted to choose a project that was lasting and made a visible impact on the Beck,” says Goodpaster. “Updating our primary entrance for students and patrons seemed the perfect fit. We are grateful for Scott’s lasting gift to the Beck and the support of his troop, friends, and family." To raise the money needed to buy the supplies for the job, Legeza organized a car wash in the parking lot of a local business. Then, after months of planning, he recruited more than 50 volunteers, including fellow Boy Scouts, Beck staff and students, family, and friends, to work on the project over several weekends in September and October. With the project now completed, Legeza says the most valuable lesson he has learned from this experience is how to organize and lead a large group of volunteers. Soon Legeza will begin planning a special ceremony with his scoutmaster for the presentation of his Eagle Scout award. He plans to continue with scouting throughout high school and is considering applying to the U.S. Air Force Academy upon graduation. 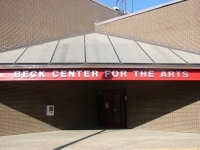 Located at 17801 Detroit Avenue in Lakewood, the Beck Center for the Arts is a not-for-profit 501(c)3 organization that offers professional theater productions, arts education programming in dance, music, theater, visual arts, early childhood, and creative arts therapies for special needs students, and gallery exhibits featuring regional artists. 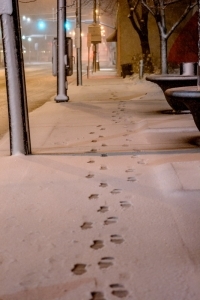 For more information about the Beck Center, visit www.beckcenter.org, or call 216.521.2540 x10.